The government is set to revise the guidelines for evaluating applications seeking intellectual property rights (IPR) for pharmaceuticals. This follows an increasing number of drug patent filings, along with litigation between innovator companies and generic drug producers. The controller general of patents, designs and trademarks, under the department of industrial policy and promotion, issued draft guidelines last Tuesday in this regard. “The (aim is) to help examiners and controllers of the patent office consistently achieve uniform standards while examining and granting patents,” a senior official said. The proposed guidelines, he said, would complement the existing norms and procedures. Detailed guidelines on certain provisions of patent law will enable a standard procedure while evaluating and deciding on complex applications. The government feels pharma products require separate guidelines due to the intricacies involved and the implications in the case of medicines. Uniform evaluation standards are also expected to reduce and bring clarity on patent challenges. 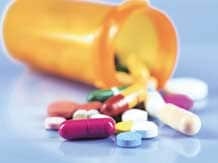 According to an intellectual property right (IPR) lawyer, India granted as many as 970 pharmaceutical product patents between 2007 and 2011, whereas the number has increased to around 1300 between 2011 and 2013. In 2005, when India changed its patent law and started granting patents in medicines, only three pharma patents were granted. The number rose to 113 in 2006 and 772 in 2007. The trend continued with as many as 1,369 patents being approved in pharma in 2008 and 1,046 in 2009, as per the Indian patent office. While patent approvals have increased, patent challenges and litigations are also on a rise in the country. Various domestic firms including Natco, Cipla and Glenmark have locked horns with multinationals such as Novartis, Merck and others over patent infringement etc. In some cases, domestic firms have also approached the government and the regulator to issue compulsory license against patented medicines. According to the official, the draft guidelines aims at bringing in clarity and uniformity in various provisions of the patent law such as section 3(d) which does not allow incremental innovation to be patented. The proposed guidelines also define words such as "invention" and "inventive step" and explains how they need to be interpreted while examination of applications seeking IPR on pharmaceuticals. The draft guidelines, however, clarifies that applications should be examined on a case -to - case basis, without being prejudiced.